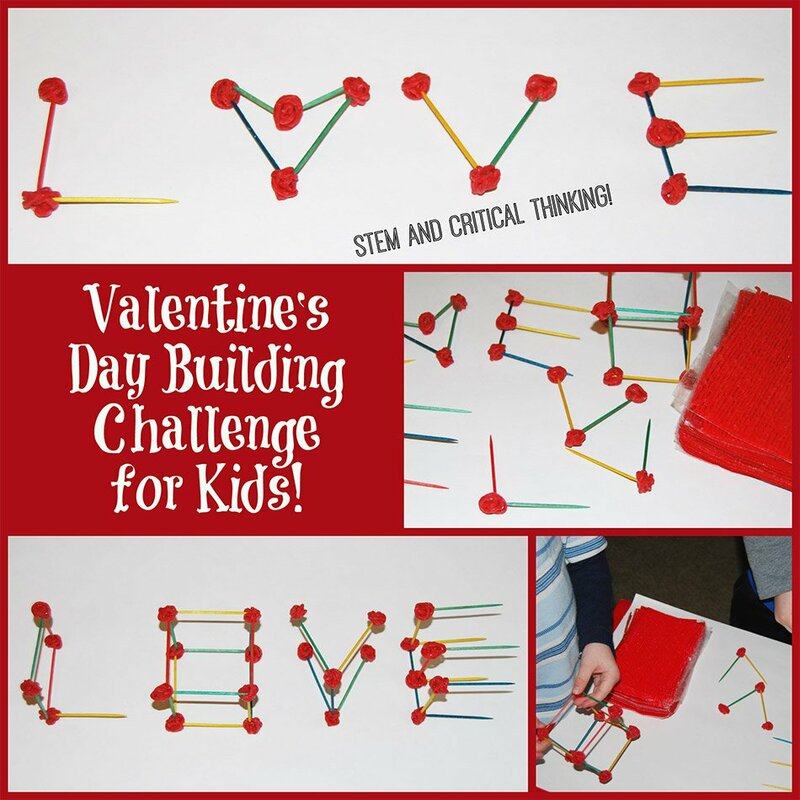 Valentine’s Day STEM Building Challenge for Kids! The day of LOVE and FRIENDSHIP can be exciting for kids with the Valentine’s Day STEM Word Building Challenge from Wikki Stix! With just 2 simple supplies, kids can incorporate STEM learning (Science, Technology, Engineering, and Math) into everyday play. Encourage your own kids to use critical thinking skills in a FUN challenge this Valentine’s Day! Challenge Objective: to invite kids to engineer a word (LOVE) from simple supplies in order to encourage the development of critical thinking and STEM skills that can then be applied outside of the home or classroom. Science: Kids will use skills within the scientific method in order to construct and complete the challenge. Technology: Kids will use video and digital cameras in order to document learning. Engineering: Kids will construct a word using simple supplies that exhibit early attempts at engineering. Math: Kids will use geometric knowledge as well as the use of lines, shapes, patterns, and spatial reasoning in their constructions. Valentine’s Day FUN FACTS: In the Middle Ages, people believed that birds began looking for a mate from February 14 on – thus the phrase “love birds.” This idea helped further the link to Valentine’s Day as a day of love, romance, and friendship. Over time, St. Valentine became the patron saint of lovers and Valentine’s Day and the tradition of exchanging love notes and simple gifts began. Challenge Inquiry: Kids are challenged to construct the word LOVE from ONLY toothpicks and red Wikki Stix. No other supplies are allowed. Time limit for the construction is 25 minutes. Reminder for parents and teachers: the kids will ask HOW to construct the letters with the supplies. Try to encourage critical thinking with open-ended questions to allow them to formulate ideas independently (or within a small group). Kids will find that the initial letter creations often don’t work as well as they planned. Encourage the kids to brainstorm ways that might be better for the letter constructions. For very young kids, it is helpful to write the word LOVE on the smartboard or chalkboard prior to the building challenge. In order to document learning, invite kids to use digital cameras and/or video as they build. It is a great way to incorporate technology and to document learning as they create. For even MORE ways to encourage STEM and STEAM learning throughout the year, please visit the FREE LESSON PLANS here at Wikki Stix! 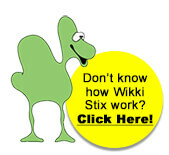 Teaching Colors to Kids with Wikki Stix! One group of preschoolers, chose straight lines and connected the lines with Wikki Stix created ball connectors. After a brainstorming session, another small group of preschoolers made a heart shape for the letter O by breaking one toothpick in half and using Wikki Stix red ball connectors for a seasonal flair to LOVE! Two Kindergarten students created similar, although they added a 3-D effect to their constructions. Heart Puppets and Song to Encourage Early Literacy and Math! STEM Education and Project-Based Learning Lesson Plan: Spiders! STEM Education for Kids: a MAKE IT MOVE Challenge! SHAPES! 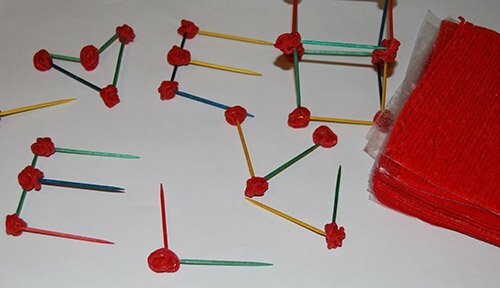 A STEM Building Challenge for Kids!